Music for hire is not a new thing. The techies at Spotify did not invent this method of consumption, they merely internationalised it. They also did not invent playlists and they certainly have never had a hot hit record in the charts because they own the charts, as that would be cheating. When I hear ‘talk’ of people not owning records and therefore how can they be real fans, it bothers me as to who are these people, and what gives them the right to say that. Let’s just have quick history lesson on the origins of music. In the first place, minstrels played their folk songs wandering from town to town telling stories of drunkenness and cruelty. This, back in the middle ages became all the rage as the only rival was catholic sung masses and the village folk around Henry VIII’s time had their gizzards cut out for humming those. Then Baroque music took over for the landed gentry whilst the peasants contented themselves in the taverns with good old sea shanties sung mostly by press ganged sailors working for Britain to rule the seas. Back then your local tavern would encourage singing along with pints of mead as it raised spirits from the dreary miserable short lives that people led. But what of the music? Much of it survived and is now public domain, therefore if you are so-minded you can still wander from town to town singing these and the activists at the PPL/PRS can’t stop you, but a local lynch mob might. The point is that if you wanted music and you could not play an instrument yourself, you hired the local Morris Dancers to pop round and give you a quick rendition of ‘Here We Go Round the May Pole.’ Who knew that music and dance around ‘poles’ would still be significant 400 years later. And you have to pay to play for that! If you were really wealthy, a string quartet trumped up to your mansion with bundles of scores from Bach, Tchaikovsky and Handel to play Water Music around your pond. This proved to be a good money making idea, as Raymond Gubbay and Harvey Goldsmith would testify to several hundred years later. Back then, fans of music couldn’t buy records, download music or stream anything. 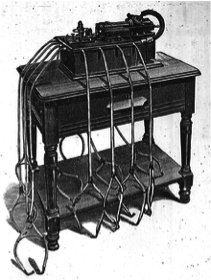 For one thing, electricity hadn’t been invented, a bit of a showstopper for early Baroque Rap DJs. So it was only when Thomas Edison whilst inventing electricity stumbled over a method in which you could capture sound, then all hell broke loose. Suddenly and almost instantly a record industry was born and the ‘Suits’ took over. The artist was shoved into the commercial background whilst avaricious managers and record company moguls began to switch their 10% margins to 50% and more, over time leaving the wandering minstrels with little less than a packet of treats. 100 years on and several format changes later – LPs, Cassettes, CDs to the intangible MP3s, the downloadable forerunner to the binary coded, ddex delivered Streaming services, we have continued to consume music, creating the soundtracks to our lives. They even say that you are defined by what record was number one on 14th Birthday. When physical products ruled the sound waves, you were not ‘hip’ or ‘happening’ if you did not turn up to the latest party with your records. That usually meant going home in a drunken stupor with somebody else’s LP collection and finding that your copy of Emerson Lake and Palmer had been substituted by the New Seekers! Not now, as you only need one teenager with his Amazon connected device to access the 33m recordings that live in the Cloud with Elvis. To say, as some ‘die hards’ do, that the kids of today are not music fans because their record collections will not rot in their lofts 20 years from now or that posters do not adorn their walls anymore is unfair and unjust. Check out their Instagram, Facebook, Snapchat and Twitter accounts. They are chockfull of pictures, testimonies, selfies with their fav artists and URL links sharing their music. They do this by playing tracks, not buying albums or waiting for the Greatest Hits collection from Ronco to come out. They build their own Playlists, make mixed love tapes (well Playlist them anyway) and share them metaphysically with their ‘fwends’ and boost both artist and record sales profits (the two go hand in hand). They are by definition the ultimate music protagonists. 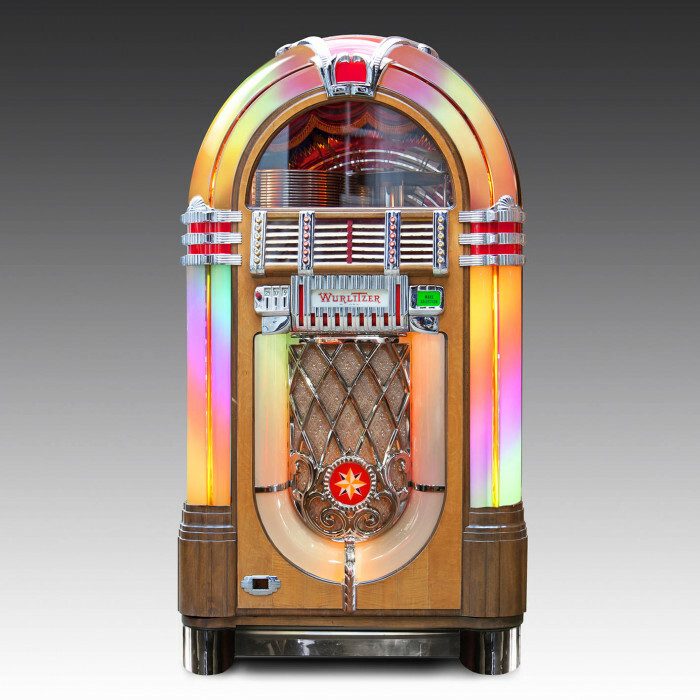 So back to music for hire – the Juke Box was invented and first installed in 1890, Louis Glass and William S. Arnold invented the nickel-in-the-slot phonograph, the first of which was an Edison Class M Electric Phonograph retrofitted with a device patented under the name of Coin Actuated Attachment for Phonograph. The music was heard via one of four listening tubes. So hats off to the guys who first commercialised hired music. Spotify, are you the commercial great great great nephew of Louis and William? Perhaps not, that is probably iTunes. 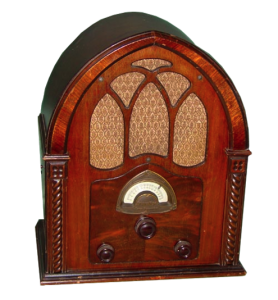 Spotify you are more the guys that killed off the Wurlitzer and sent it into decline in the 1930’s by inventing commercial radio – the original ad-funded music forefather. The music business does not change really, but formats do!